You all know Tunda Sebastian by now, she is Diamond Platnumz other side chic who is determined to work up Zari even more than Hamisa did last year. According to close pals, Tunda loves her food and drinks a lot, so her tummy has been that big for close to two years so she is not preggie as it was earlier stated, a souce noted. A few days back, a pic of a guy trying to squeeze some juice out her tummy surfaced online, but since the guy was not multi tattooed, Zari breathed a sigh of relief, otherwise, she had done this to switch on the Zari panic buttons. The issue of Tunda cannot be taken lightly now that even for Hamisa Mobetto that is how it all started and before we knew it, Platnumz was taking responsibility for Hamisa Mobetto's son. Zari's gal brigade was able to down play the Tunda babe pic with a yet to be identified guy many were thinking was Dee, now that he did not have tattoos, that movie ended right there. 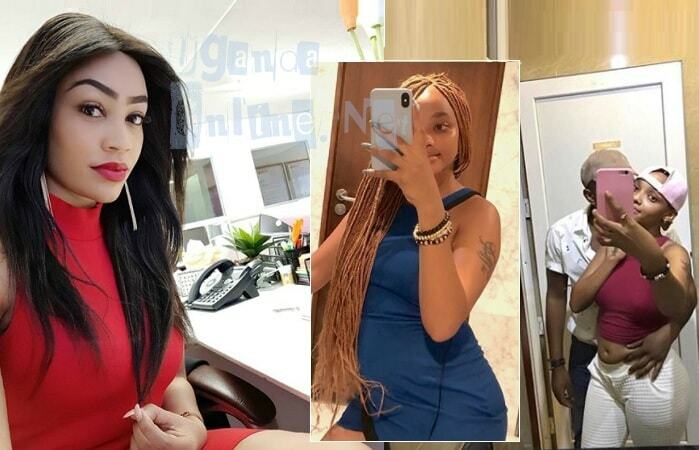 Tunda then embarked on another move, she put Zari's child as her profile picture just to get at her not forgetting that the two[Tunda and Platnumz] were partying in the same club over the weekend. Hamisa might actually not be a pain anymore for Zari, but Tunda is one person that is going to make life very difficult for Zari. Diamond Platnumz's latest post seems to suggest he is not about to settle down. This was way too much for the Zari brigade, at least they've been able to deal with Hamisa Mobetto, but this one seems to have come full throttle ready to take what is left if any. Just like Zari told Hamisa Mobetto to concentrate on her first baby daddy and leave Diamond Platnumz alone, Tunda took to Instagram sending a similar message to Hamisa that; "It's like she does not know what it means to be rejected by a man." 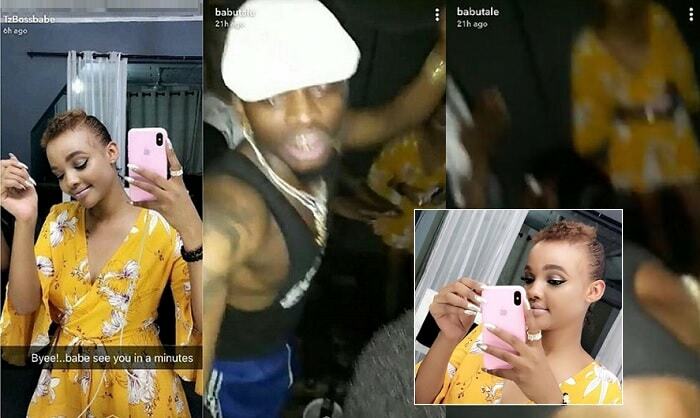 One thing is clear here, Hamisa has not only got Zari to deal with in their struggle to win over Diamond Platnumz heart, but she has Tunda Sebastian who comes with very strong arguments; no children, young, based in TZ, signed to Wasafi Records and also very good company for Dee if these pics are anything to go by. She is seen in a yellow floral dress, while Diamond is in a black vest, blue tracksuits, white cap and bling daning the night away.